I had a list of threads that I wanted to get and they are 89c a skein and I had 33 to get to make these ornaments. Though I didn't tell Phill how many I wanted. This is where it gets funny. The people at spotlight wouldn't know one skein from another and they have the label for the perle thread above the stranded cotton. It's priced at $5.99 so as I kept handing Phill skein after skein I think he was starting to freak at the price! Because of course he had no clue what he was looking at. I didn't find one of the colours I wanted and Phill started looking in the perle threads for the same colour because apparently I can use those just as well and he couldn't understand that although the numbers may be the same the thread definately wasn't. 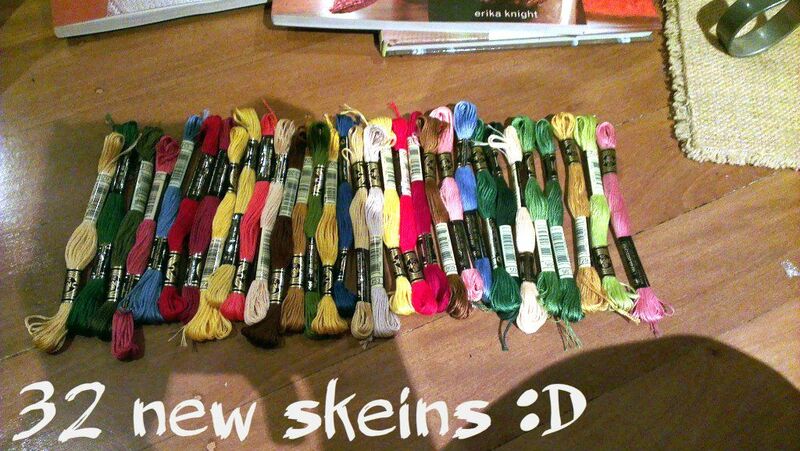 So I came back with 32 new skeins of thread and really excited to start some cross stitch in the new year! Pretty colours :D lots of brown, red and green to make it look exciting. I also found a book store called All Books For Less :D and they really mean that. The normal price is $5 a book but they have a special 'til new year of $3 a year. 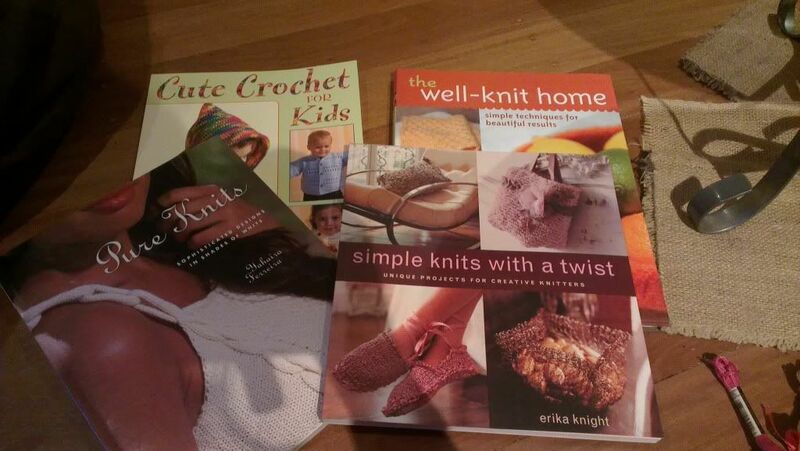 I bought 4 awesome craft books at $3 each. They are knitting and crochet not cross stitch but lots of cool ideas. At that price I will buy any books! I need more bookcases. WIPocalypse update coming tomorrow :D my year in stitches! Men are hilarious aren't they! No clue about threads and fabric!! Great haul though Caitlin!! Merry Christmas to you and your fella!! I got tickled over your hubby story. Great new books.